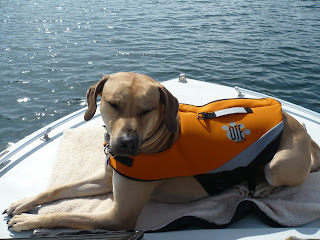 Bubba's a boater doggie! He likes the new boat. 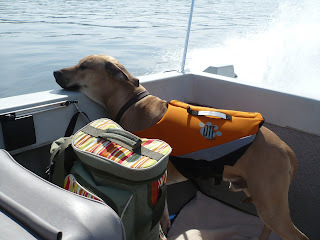 He loves his life jacket. Kona wanted to see over the side. 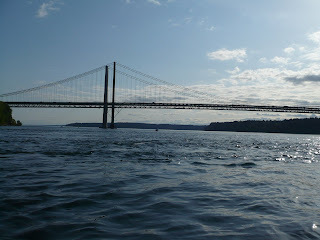 The Narrows looks so big from underneath it.